There are several reasons why every academic leader should have a succession plan. First, although it’s unpleasant to think about, we’re all mortal. If something terrible should happen and we should die suddenly or be incapacitated by an injury or illness, someone will need to be prepared to fill in until a long-term replacement can be found. Second, we limit our own potential for promotion when we appear to be indispensable in our current positions. If our supervisors can’t imagine anyone else doing our jobs, it’s unlikely that they’ll be able to imagine us doing any other job as well, including the one we might really want. Third, colleges and universities are more than just the people who work for them. We’re temporary residents at an institution that existed before we arrived and will continue to exist after we depart. We therefore owe it to the organization to think in terms of its ongoing needs and not solely in terms of our relationship to it. The first step in succession planning for academic leaders is to think holistically in terms of what you do. Your job description may be a starting point for this exercise, but a job description alone doesn’t tell you everything you need to know. All good academic leaders do far more than they are officially assigned to do. And all of us shape our positions through our own priorities and personalities. So, the question really is, what are the essential benefits the college or university receives from having you in your position that it would lose if you weren’t available? Thinking holistically about your contributions means considering more than the responsibilities that are listed in your human resources folder; it means considering which essential activities of your program would be lost by your absence. The second step is to begin delegating some of these responsibilities to others and empowering them with the authority to carry them out. This task isn’t accomplished overnight. People will need time to grow into your duties just as you probably needed time to grow into your role. They may make mistakes at first. They may prove to be utterly unsuited for the role you envisioned for them. As a result, you may need to modify your plan. Your job at this stage of succession planning is to be a combination of mentor, coach, and role model to help people become proficient at new responsibilities and possibly to see themselves in a new professional role. The third step is to follow the dominoes. In other words, just as when you leave your current position certain responsibilities must be covered, so will other responsibilities have to be reassigned when those you’re mentoring take on the new tasks you’ve delegated to them. A good leadership succession plan doesn’t stop with ideas about replacing the leader alone. It explores possibilities of filling other gaps, perhaps even performing a complete realignment of duties within the program. It’s rarely the case that there’s one and only one person who can slip into the leader’s former role, with one and only one person ready to take on that person’s other responsibilities, one and only one person to step up to that person’s duties, and so on. Every personnel departure is an opportunity for restructuring and reallocation of resources. The fourth step is to communicate the plan to your supervisor. A plan is worthless if others don’t know what it is. By having a well-designed succession plan in place, you’re freeing your supervisor from concerns about what to do in an emergency. At the same time, you’re indicating that, although you’re highly valuable to the institution, you’re not indispensable in your current job. Doing so indicates that you’re capable of looking at the school’s future needs and of considering a larger range of needs than just your own. 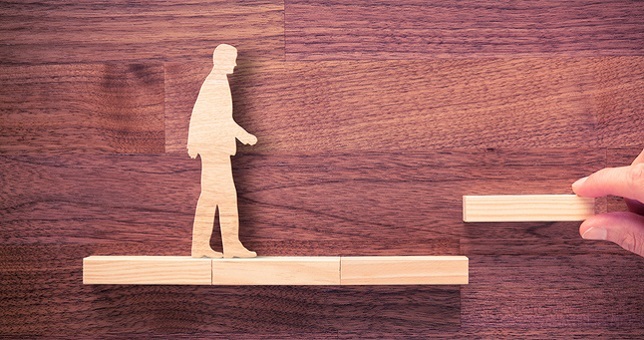 Academic leaders are sometimes reluctant to develop a succession plan because they want to convey the impression that the program depends on them, that they’re fully in charge, and that the program’s successes are due almost entirely to their efforts. Such an impression is shortsighted, however, because it locks leader into their current positions and implies they are too important in those roles ever to be considered for a promotion to greater responsibilities. Reprinted from “Succession Planning for Academic Leaders,” Academic Leader, 32, 7 (2016): 3,7. © Magna Publications. All rights reserved.